Authors: Pitcher TL, Myall DJ, Pearson JF, Lacey CJ, Dalrymple-Alford JC, Anderson TJ, MacAskill MR. The researchers who conducted this study had previously used data extracted from the national Pharmaceutical Collection of community‐dispensed medications to describe the prescribing patterns of anti-Parkinsonian medications in New Zealand (Click here to read that study). They had also recently published an incidence assessment for New Zealand – with 210 cases per 100 000 member of the general population (based on 2013 data – Click here to read more about that). In this current study, the researchers collected information on Parkinson’s‐related medications from the national Pharmaceutical Collection of community‐dispensed medications (for the period January 1, 2005, to December 31, 2014) and they also determined Parkinson’s diagnoses independently via national mortality and hospital admissions data sets. Of the total number of people (33,917) identified by the medication analysis, 42% (14,179) also had a ICD‐10 diagnostic codes listed in the national databases. And 763 of those people had a Parkinson’s diagnosis. Ok, and what did they do with that data? The researchers were interested in whether the prevalence of Parkinson’s was the same across all of the different ethnic groups living in New Zealand. 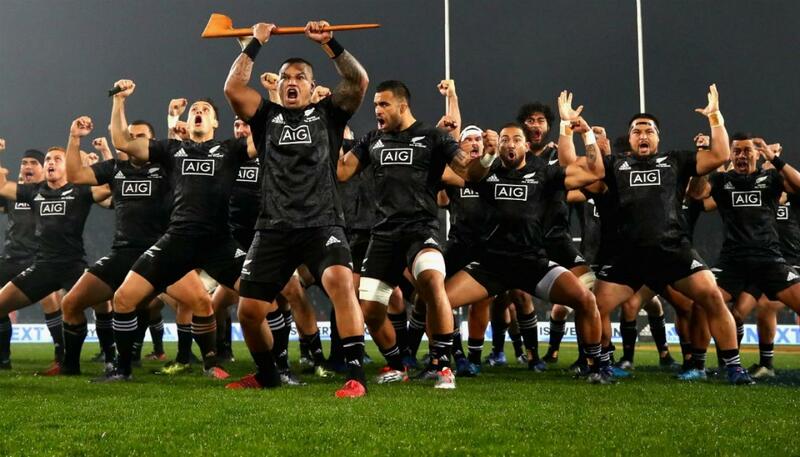 Well, according to data collected from the 2013 census, 15% of the population identified as Māori (the ingenious Polynesian people of Aotearoa, who arrived 4-500 years before the Europeans – Source), 74% as Pākehā (or European), 12% as Asian, 7% as Pasifika (from one of the Polynesian Pacific island nations), and 1.2 % as Middle Eastern/Latin American/African. The 2013 age‐standardised prevalence (per 100,000 population) for European was 223. For individuals of an Asian heritage, it was 174. 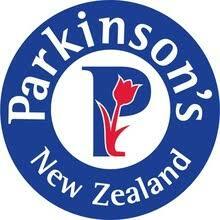 For the Pasifika population, the prevalence of Parkinson’s was 160 per 100,000 (are you starting to notice a trend yet? ); and for the Māori community, the prevalence was just 114. Read that paragraph again if you are not yet surprised. The prevalence of Parkinson’s in individuals of a Māori background was almost 50% less than that of the Pākehā (Europeans)! This lower incidence of Parkinson’s in Māori and Pasifika, is particularly curious as there is a high prevalence of type 2 diabetes in these two communities (Click here to read more about this) – which is a condition generally associated with an increased risk of Parkinson’s (Click here to read a previous SoPD post on this). But this lower incidence of Parkinson’s trend is also observed in other medical conditions, such as multiple sclerosis. Māori have a low frequency of genetic mediators of multiple sclerosis risk (Click here to read more about this), and they also appear to be 3 times less likely to be diagnosed with that condition than non-Māori individuals (Click here for more on this). Interesting. So summing up, what does it all mean? That wasn’t the only interesting piece of Parkinson’s research out of New Zealand recently. Far from it. The results of the ‘Nutrition in Parkinson’s‘ study have just been published and they make for some interesting reading. What is the ‘Nutrition in Parkinson’s’ study? The ‘Nutrition in Parkinson’s’ study was a clinical pilot study conducted at Waikato Hospital in Hamilton (New Zealand). It was conducted June to August 2017, and it involved 47 people with Parkinson’s being randomly divided into two groups and being placed on two very different diets. Dr Phillips also provides useful, down-loadable reading material on many different aspects of Parkinson’s – click here to read more about that. Title: Low-fat versus ketogenic diet in Parkinson’s disease: A pilot randomized controlled trial. Authors: Phillips MCL, Murtagh DKJ, Gilbertson LJ, Asztely FJS, Lynch CDP. Ok, I think I can figure out what a low-fat diet is, but what is a Ketogenic diet? In the modern western world, our diets are very high in carbohydrates, and our bodies find this situation very agreeable. The carbohydrates contained in food are easily converted into glucose, which can be transported around the body or stored, providing a ready supply of energy (which is particularly important in fueling our particularly energy hungry brains). The problem with this high carbo situation, however, is that in our modern western world we are also becoming more and more sedentary – sitting at desks at work or lying around consuming media. And as a result, the converted glucose is not being burned up, but rather stored as fatty deposits around our bodies. And this is where the Keto diet can come into play. On the Keto diet, when there is little carbohydrate intake, the liver converts those fat deposits into fatty acids and ketone bodies. Ketones act primarily as a source of energy for cells – particularly the brain – in the absence of glucose. After the 3 days on a low glucose diet, the brain will get approximately 25% of its energy from ketone bodies, and this will shift to 70% after 4 days (Source). But there is also evidence that ketones might be neuroprotective (Click here for a review on this topic). Ketone bodies have a characteristic smell – often described as ‘fruity’ or ‘like nail polish remover’. You can easily smell a change of breath in people on a Keto diet, and this ‘breath test’ is an easy indication of whether an individual is on a Keto diet. Has anyone ever looked at Keto diets in Parkinson’s before? Ketogenic diets have been reported to be neuroprotective in neurotoxic rodent models of Parkinson’s (Click here and here to see examples of this). Title: D-beta-hydroxybutyrate rescues mitochondrial respiration and mitigates features of Parkinson disease. Authors: Tieu K, Perier C, Caspersen C, Teismann P, Wu DC, Yan SD, Naini A, Vila M, Jackson-Lewis V, Ramasamy R, Przedborski S.
Journal: J Clin Invest. 2003 Sep;112(6):892-901. In this study, the investigators found that the infusion of the ketone body d-beta-hydroxybutyrate in mice that had been injected with a neurotoxin (MPTP), improved mitochondrial function and reduced the loss of dopamines and associated motor deficits. The researchers concluded that given “the safety record of ketone bodies in the treatment of epilepsy and their ability to penetrate the blood-brain barrier” d-beta-hydroxybutyrate could “be a novel neuroprotective therapy for PD”. This result is similar to what other research groups have found in models of Parkinson’s (Click here and here to read more about this). Perhaps more research in this area could be useful (but it should be noted that the half-life of ketones is very short). Title: Treatment of Parkinson disease with diet-induced hyperketonemia: a feasibility study. Journal: Neurology. 2005 Feb 22;64(4):728-30. In this small pilot study, the investigators recruited 7 people with Parkinson’s. Five of these volunteers completed the study and were able to prepare a “hyperketogenic” diet at home for the entire 28 day study. Parkinson’s clinical (UPDRS) scores improved in all of the 5 participants during the study, but given that they were not blind to the treatment, a placebo effect can not be ruled out. So what did the people in the new ‘Kiwi’ Keto diet study have to do? During a two week period before the study started, the participants were assessed twice by clinicians (recording weight, blood pressure, clinical exam scores, blood, etc). 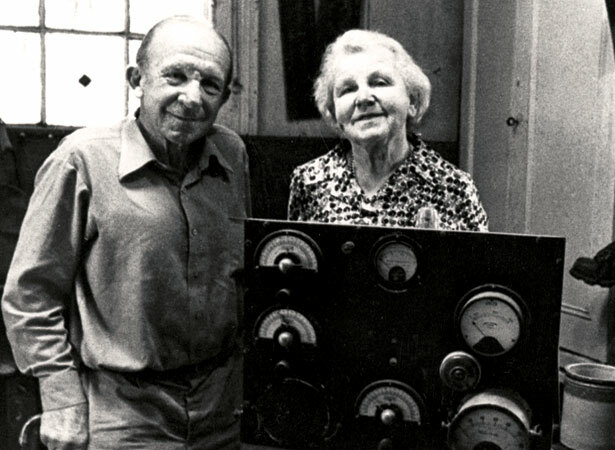 These measures were the ‘baseline’ recordings of the study – a measure of the participants before starting the treatment that could be used for comparative sake at the end of the study. They were also given a glucose/ketone monitor (Freestyle Neo; Abbott Diabetes Care) to keep track of and assess their ketone levels. The low-fat plan provided participants with 1,750 kcal per day. They were composed of 42 g of fat (10 g saturated), 75 g of protein, 246 g net carbohydrate, and 33 g of fiber. The keto diet plan offered participants with the same amount of energy (1,750 kcal per day), but was composed of 152 g of fat (67 g saturated), 75 g of protein, 16 g net carbohydrate, and 11 g of fiber. Both groups were offered “caloriebooster” recipes for those with higher energy needs. But these differed in that the low fat caloriebooster contained 4 g of fat (1 g saturated), 6 g of protein, 102 g net carbohydrate, and 13 g of fiber, while the Keto diet caloriebooster contained 50 g of fat (22 g saturated), 6 g of protein, 5 g net carbohydrate, and 4 g of fiber. Each caloriebooster provided on average 500 extra kcal. Importantly, all of the ingredients for the meal plans could be purchased at local supermarkets. If you would like to see the meal plans for both groups, Click here and then scroll to the bottom of the page and click on ‘Supporting information’ where you can access supplementary information, including the standard diet plans. NOTE: In an interesting step, the investigators have also made available all of the information and videos about the diets on the patient portal, if you are interested in having a look (Click here to see more). The participants then commenced their individual meal plans and they maintained them for 8 weeks. At 4 and 8 weeks into the diet, they were assessed again by the clinicians. And what did they find in the results? Encouragingly, the results show that both group were able to stick to their modified diet for 8 weeks. And the high retention rate was helped by an innovative approach from the investigators of providing weekly videos and emails every 2 days. 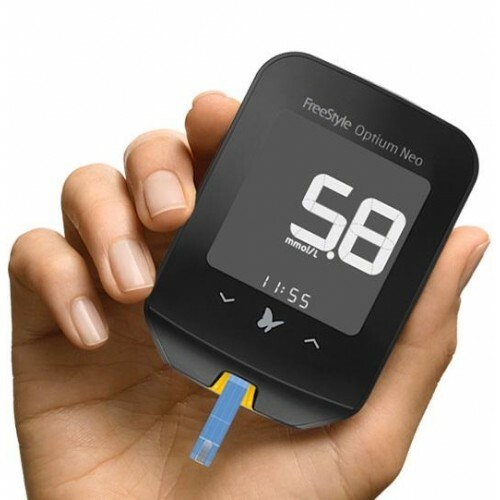 The high retention rate was also impressive given the daily use of the blood glucose and ketone monitors. 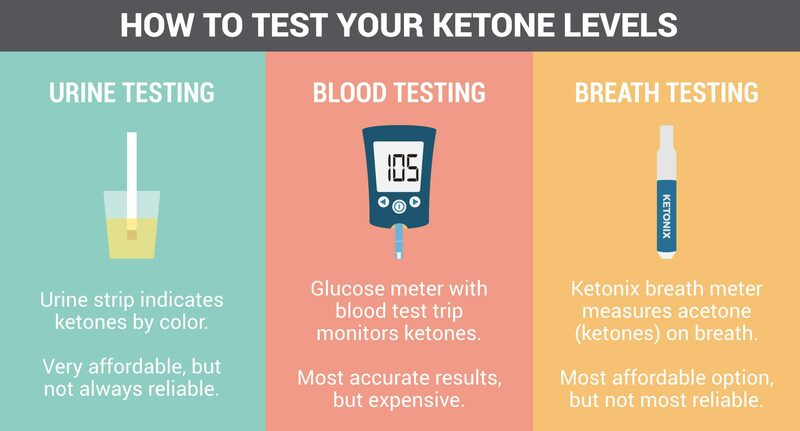 Many previous Keto studies have relied on urine monitors for reading of ketone levels, but these are not considered as reliable as the blood monitors. The results also show that the keto diet is safe and well tolerated in people with Parkinson’s. But what did the results show about the Parkinson’s symptoms? The results showed that both diet groups had decreased scores in their MDS-UPDRS assessments at 8 weeks compared to their baseline recordings. The Movement Disorder Society Unified Parkinson’s Disease Rating Scale (or MDS-UPDRS) is one of the most widely used clinical measures of Parkinson’s. It is made up of 5 parts, which assess different aspects of the condition. A decrease in the MDS-UPDRS score suggests improvement in Parkinson’s symptoms, while an increase indicates disease progression. Compared to the UPDRS scores at the start of the study, both groups showed improvements in their measures (that is to say, both groups had reductions in their scores). Interestingly, the ketogenic diet group exhibited a significant decrease in their Part I score (−4.5 points improvement in baseline scores) compared to the low-fat group (−0.99 points). Part I concerns ‘‘non-motor experiences of daily living’’, and the largest between-group difference were recorded for urinary problems, pain, fatigue, and cognitive impairment (many of the most problematic aspects of Parkinson’s in terms of quality of life). No differences were observed between the two diet groups in the other four parts of the UPDRS. It will be interesting to see if this improvement in Part I score is replicated in other Keto studies in Parkinson’s. Adherence to the diets looks rather good as the low-fat diet group showed decreases in HDL, LDL, total cholesterol, and urate levels, while the ketogenic group showed increases. The most common negative (or ‘adverse’) effects mentioned by the participants was “excessive hunger in the low-fat group” and “intermittent exacerbation of the PD tremor and/or rigidity” in the ketogenic group. And this is another interesting result from the study, for anyone with Parkinson’s considering the keto diet. The intermittent exacerbation of the PD tremor/rigidity actually resulted in two participants withdrawing from Keto group at the end of week 1. But this adverse effect appears to have only been a transient phenomenon as it improved in the remaining subjects from weeks 5 to 8. It will be interesting to see if this effect is also replicated in follow up Keto studies in Parkinson’s. So we should all rush off and jump on a Keto diet? The study has demonstrated that is “it is plausible and safe to maintain a low-fat or ketogenic diet for 8 weeks”. But the researchers admit in their discussion that the study is very small, and a larger study and longer diet intervention is required for any solid conclusions to be made. In addition, there was no control group in this study, and the participants were not ‘blind’ (everyone knew that they were on a special diet) – thus a placebo effect could have been in affect. The investigators tried to limit this by blinding the clinicians who conducted the movement assessments, but the participants still knew that they were being treated. And given the change in smell of one’s breath, I am having a hard time imagining how ‘double blind’ clinical testing of the Keto diets could be achieved. It will probably be rather difficult. Then there is also the possibility of an L-dopa effect. As both of the diets were moderate-low in protein, it could be positively affecting the availability of the main Parkinson’s treatment, L-dopa. Protein usually interferes with the absorption of L-dopa in the gut. Thus, some benefits observed in this study could perhaps simply be attributed to improved L-dopa absorption rather than any other effect. The researchers tried to counter this by making sure that participants were getting a minimum level of protein to reduce this possibility, but a larger study will be required to better assess whether this effect had any role in the results. Are there any dangers with a keto diet? It should firstly be noted that ketogenesis occurs constantly in healthy individuals. It is a natural process. Second, as with all things in life, there is a balancing act to ketogenesis. The overproduction of ketone bodies can lead to a state known as ketoacidosis – excessively high levels of ketones. And this can be common in individuals with diabetes or glucose intolerance (PLEASE NOTE: as we have discussed before, glucose intolerance appears to be present in more members of the Parkinson’s community than the general public – click here to read a previous post on this topic). The body produces high levels ketone bodies as a result of not enough glucose accessing cells. But the ketones acetoacetate and beta-hydroxybutyrate are both acids, and when they start to build up and bodily fluids become too acidic, some of the body’s systems stop functioning properly. This is ketoacidosis and it can be dangerous – so please discuss any changes in your diet with your physician before attempting anything. In addition, as we discussed above, changes in protein levels in one’s diet can affect the absorption of L-dopa, so (again) please discuss any changes in your diet with your physician before attempting anything. I have had a lot of readers previously ask about the Keto diet and whether it can help in Parkinson’s, so it brought me great pleasure when I heard about the ‘Nutrition in Parkinson’s’ study that Dr Philips and his team were conducting in New Zealand (Thanks Dilys). While it is difficult to draw too many conclusions from the results of the study, it is encouraging to see researchers addressing the topic. Many members of the community experiment with various aspects of diet because (like exercise) it is one aspect of their treatment that they feel like they can control/influence. This is empowering, but it needs to be supported by the research community with some carefully designed and conducted studies. Given the very interesting results that the current study have produced (the significant improvement in UPDRS Part I scores compared to the low fat diet group and the transient exacerbation of Parkinson’s tremor/rigidity at commencement), it would be very encouraging to see a much larger and longer clinical trial of the ketogenic diet in Parkinson’s, which could more thoroughly investigate these findings. And it would be particularly encouraging if that larger clinical study were to be conducted in a particular South Pacific nation. EDITORIAL NOTE: The information provided by the SoPD website is for information and educational purposes only. Under no circumstances should it ever be considered medical or actionable advice. It is provided by research scientists, not medical practitioners. Any actions taken – based on what has been read on the website – are the sole responsibility of the reader. Any actions being contemplated by readers should firstly be discussed with a qualified healthcare professional who is aware of your medical history. Dietary changes can impact the effectiveness of treatments. PLEASE speak with your medical physician before attempting any change in an existing treatment regime. Thank you Simon, to have people of your knowledge and humanity in our corner is indeed a blessing. Thanks for your comment and kind words. Much appreciated. September 8, 2018 - 1:29 pm Pamela. Simon, this is a v. interesting post and indeed a bit of a muse on New Zealand. I enjoyed reading it. When I began the post I wondered whether the lower incidence of Parkinson’s in Māori and Pasifika, where there is also a high prevalence of type 2 diabetes (a condition generally associated with an increased risk of Parkinson’s) could be due to medication to treat the type 2 diabetes, notwithstanding what dietary reasons may be at play. Naturally I am referring to the interesting results of those trialing Victoza and other injectable type 2 diabetes medications who are seeing improvement in PD symptoms. Was medication considered in this trial? Thanks for your interesting comment – the short answer is I’m really not sure. In the discussion of the report, the researchers focus more on the possibility of a genetic difference (possibly genetic variants that infer a reduced risk of developing Parkinson’s), as well as the heavy urbanisation of the maori community – possibly reducing their exposure to pesticides, etc. The long answer to your question is I’m not sure anyone knows. For readers not familiar with it, Victoza is also called Liraglutide (a GLP-1 agonist used in the treatment of diabetes). It is a similar type of drug to Exenatide which had interesting phase II clinical trial results in Parkinson’s last year. And may I just wander off the rails for a minute to apologise for having been quiet the last couple of months (I have been getting ready for our big forum and helping here and there with people writing up projects etc.). Hey, maybe a lot of readers have not missed my long rambles through Parkydom! Okay, to the serious point of this e-mail; this article was a pleasure to read as sensible study criteria provided very interesting outcomes focused on macro-nutrients – of course as you have pointed out there is a degree of ambiguity in the study (the amount of protein being very middle-ground leaves us none the wiser as to whether blood/brain competition with PD drugs is a definite factor or not). The other main point: It’s not a double-blinded study but I agree with you how can such a study be engineered? I have tried ketone diets in the past and always noticed ‘onion breath’ after a few days which was the tip-off that it was working. Right, no rambling other than to say all the forum delegates will receive a welcome file with various printouts and one of the printouts will include ‘must-reads’ and your blog will be at the top of the list. I have always believed in giving credit where credit is due and your blog should be mandatory reading for any that are seriously wanting to keep up with PD research. Great article as always. You truly are an invaluable asset to the Parkinson’s research community. Is their a way to have printable version of your post (link to click to print) that I can share with some of my patients. Some of my 70 years old are not tech savy. First off the study you quote was investigating seizures and not neurological disorders. Second, I believe the study has a tragic flaw in logic that is common in biology research today. When x is present y is present. This in NOT proof x causes y. I realize that gut microbia is a popular topic today, but it is a parallel indicator and not a causative effect. I have a real disease and should be using a walker, and I am not. I am living proof of my theories. Hi Joseph, I agree correlation does not = causality. I was simply mentioning one gut/CNS axis (seizures) where the Keto diet is apparently accepted, and there are microbiome changes, to raise a question; not a statement. Indeed the paper you quote has a question for the title. Most science starts with questions and hypotheses, not certainties. Thank you for the links to Dr. Matthew Phillips’s pdf material on Parkinson’s. I downloaded a number of the pdfs, and the material is well written and curated, accessible to the layperson, and was good learning material for a relative newbie like myself. 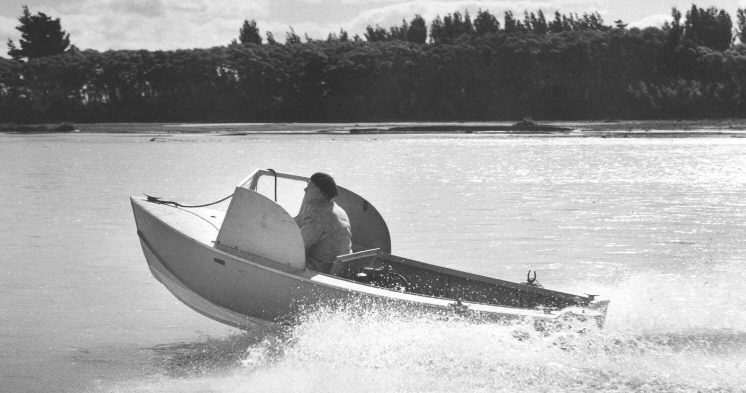 I also had a momentary urge to move to New Zealand after reading this post – such an inspiring history of trailblazing, thank you. The humanity of the current NZ PM is a breath of fresh air on the international stage as well, and this is obviously not an outlier. So interesting! I had no idea Parkinson’s could be more prevalent in certain racial groups.Thanks for sharing. Thanks for your comment – yes, there are large variations across different nations of people – one of the early SoPD posts was on this topic (https://scienceofparkinsons.com/2016/10/11/bulgarian-gypsies/). I’m very curious, what is the ancestral diet of the Maori people?